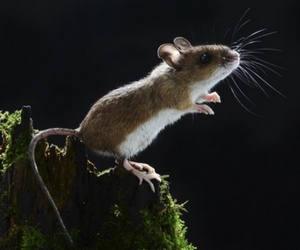 Do you have mice in your attic going bump in the night? If the sounds of tiny footsteps, scratching, or squeaking are making you lose sleep, you may have a mouse problem on your hands. Because they often stay out of sight, it can be tempting to just let them leave on their own, but generally they will stay put until something forces them to leave. The longer they are allowed to live in your attic, the more damage they will do, and the greater risk they pose to your family’s health. The most effective way to keep your home and family safe is to call a professional at the first sign of mouse activity. Allowing the experts at Critter Control® of Dallas to remove the mice from your attic not only ensures that they are completely removed, but it keeps you and your family out of harm’s way. For any questions about our animal removal services, or to schedule a complimentary home consultation, contact us today at 817-222-1101.